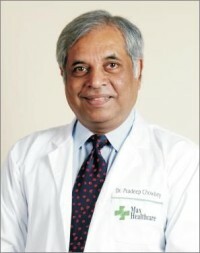 Dr Pradeep Chowbey, who is also a Padma Shri recipient, is considered a pioneer in the field of bariatric surgery and has performed over 70,000 surgeries between 1992 and 2015. “It is a proud moment to receive the recognition for my work from a widely respected association. These memberships and awards further strengthen my resolve to continue to do revolutionary work in the field of laparoscopic and bariatric surgery,” said Dr Pradeep Chowbey. Chowbey was one of the first Indian surgeons to recognise the increasing prevalence of obesity in India and looks at bariatric surgery as the only solution to it, if other options such as lifestyle changes, healthy eating and other medical interventions do not yield results. According to statistics, India currently has 41 million obese people.